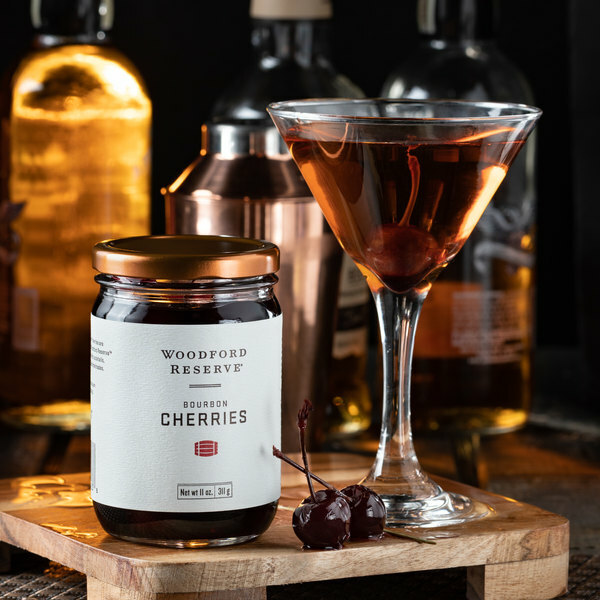 Muddle, garnish, and top your favorite cocktail with these Woodford Reserve bourbon cherries! Tart, sweet, and soaked in bourbon, these cherries make the perfect finishing touch to your classic bourbon cocktails, like a Manhattan or Old Fashioned. Not just for beverages, try switching out your maraschino cherries for a few of these bourbon cherries over flambe ice cream for an indulgent adult dessert, or incorporate into a sauce or marinade to drizzle atop your seared pork tenderloin. Their rich taste that delivers just the right amount of oaky notes, sweet tones, and Kentucky bourbon will serve as a valuable addition to your cocktails, desserts, and entrees! Handpicked at the peak of ripeness in Oregon, these cherries are then pitted, and preserved in a mixture containing Woodford Reserve bourbon to develop an incredible flavor that is the perfect finishing touch for your cocktails. Plus, the glass jar's sleek design and Woodford Reserve logo provides attractive shelf presence in your bar, lounge, or tavern, so your customers will instantly know they are being served a high quality drink when it is used. Bourbon Barrel Foods first began in 2006 as the U.S.'s only soy sauce microbrewery and the only soy sauce in the world that was fermented and aged in bourbon barrels once used to age Kentucky's finest bourbon. Finding extreme success, Bourbon Barrel Foods looked to combine the Kentucky bourbon industry with more local foods. Continually expanding its product list, it has since partnered with Woodford Reserve and Old Forester to create award-winning gourmet foods and drinks for your customers that are backed by iconic brands. Bringing unique flavors from bourbon country itself, discover how Bourbon Barrel Foods can bring new life to your handcrafted cocktails. I have been introduced into the world of bitters, beyond the typical yellow lidded aromatic bitters collecting dust in the liquor cabinet. I was quite excited to try these in my Old Fashioneds. I do enjoy Woodford and I thought this would be perfect. I like these bitters and have even just added a dash or two to seltzer water for a non-alcoholic, low calorie "cocktail. 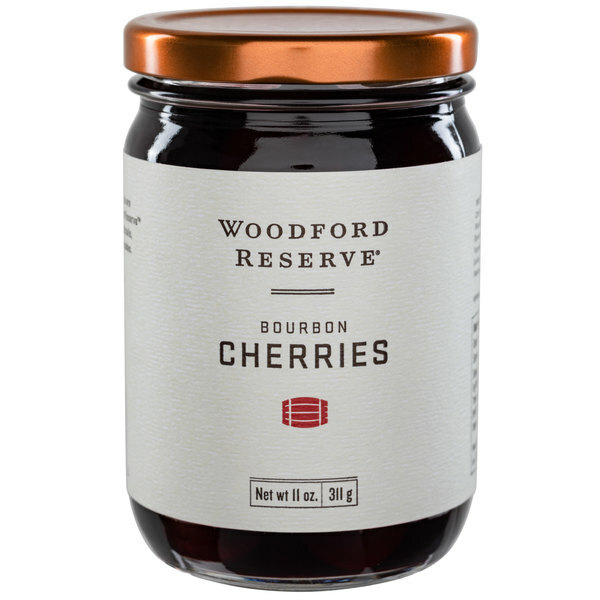 Woodford reserve bourbon cherries are so incredibly delicious. They make a great garnish to any whisky cocktail and are even good to eat straight from the jar. These are GREAT quality bourbon cherries. We use them in our manhattans and everyone loves them. They are a bit pricey but you get what you pay for.